You must be a member of the London Turkish Group to attend this activity. Would you like to join this group? February is an important month for Happy Valentines or Happy Singles never mind just "Be Happy" as you are. Let`s celebrate anything whatever the reason you have for us to say "cheers". Protected content They have Turkish Cusine A La Carte Menu or Set Menu. The place has unique design with lots of unusual art and painting. There are balcony tables for private group bookings. I haven`t decided yet whether we can sit on main hall or at balcony depends on number of attendees. 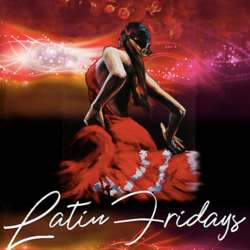 On Fridays they have Latin Music for unforgettable dinner experience. We have to go for set menu £32.95+%12.5 service charge or A la carte menu minimum 2 courses order per person+ service charge. This is because of wonderful music performance during Thursday and Fridays. I suggest you to expect around £50 spending including one or two drinks depends of your choose. It is definitely worth as I have been there many times. I look forward to see you at event.